This constant search for signs of his dead brother intensifies until it lands Matt in psychiatric care, and yet, as unwell as Matt clearly is, there’s a thread of sanity running through his thinking processes. Whatever your mental state, death is shocking and senseless, like so much of life. And as a protagonist, Matt has more power than most. He constantly jolts us out of the story – at one point with a chapter heading beseeching in annoyed capitals “PLEASE STOP READING OVER MY SHOULDER.” It’s an unusual technique, but while it interrupts the flow it serves to emphasise Matt’s own disjointed thinking while ensuring the control over the narrative remains firmly in his hands. In stark contrast, when it comes to his own wellbeing, Matt has little to no authority. The Shock of the Fall is a tragic story, but one through which Matt’s character shines as well rounded as any real person’s. His schizophrenia is simply one aspect of him, just as his grief and guilt, and humour and kindness are. And that’s the true revelation of this tale. 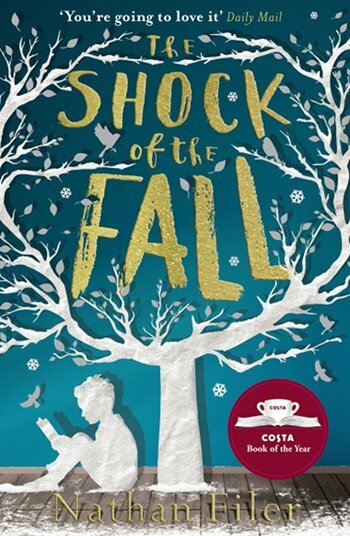 The Shock of the Fall by Nathan Filer is published by Harper Collins and available to buy from Amazon. This entry was posted in Reviews and tagged Book reviews, Nathan Filer, The Shock of the Fall by Judy. Bookmark the permalink.